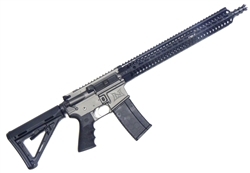 This 100% USA made AR is built to be a reliable weapon that you will appreciate year after year. The full-length keymod handguard gives you ultimate versatility for attaching a sling, flashlight, laser, foregrip or whatever you want, wherever you want it. 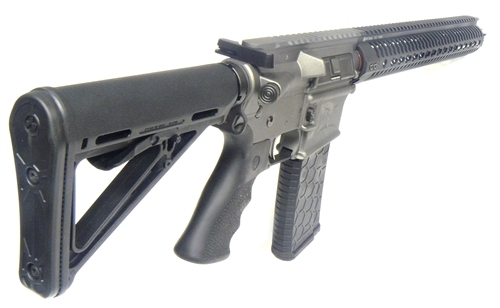 The narrow, extremely lightweight but durable handguard is very comfortable in your hands without the need for rail covers. The AR platform’s legendary accuracy is manifest through its free-float barrel and gas operated bolt system. These critical components as well as the trigger group are top quality parts manufactured by Anderson Rifle company in Kentucky. The bolt carrier is chrome lined, magnetic particle inspected, and made from 8620. The bolt is made from 9310 high grade steel. It ships with a nice muzzle device package. You get a standard A2 birdcage, a Demonium tip for ripping Zombies faces off, and a night brake for controlling flash and recoil. All muzzle devices made in USA by CNC Warrior. 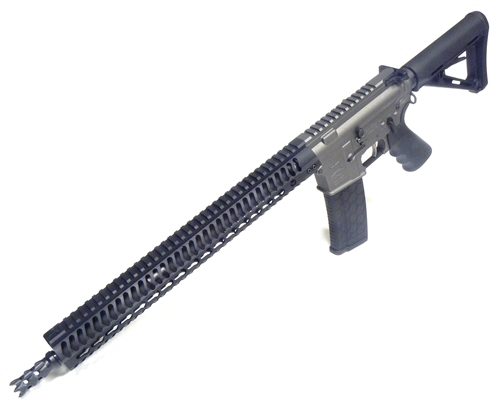 This gun has been built, test fired, cleaned and is ready for immediate shipment!